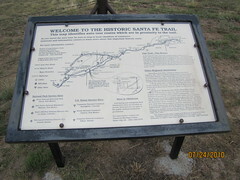 Established in May 1865, by Kit Carson, hero of Valverde and Brig. 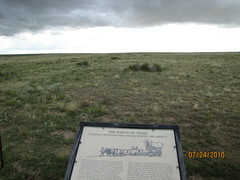 Gen., New Mexico Volunteers, to guard Santa Fe Trail and furnish escorts for caravans engaged in Santa Fe trade. 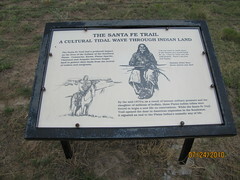 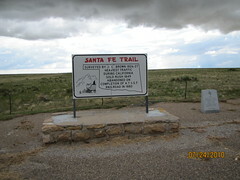 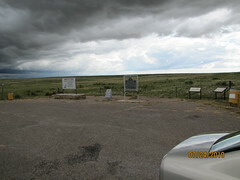 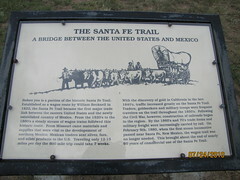 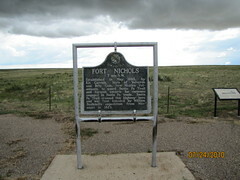 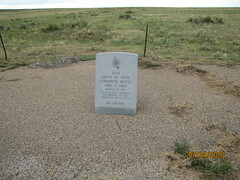 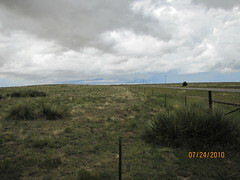 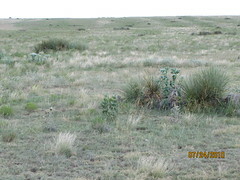 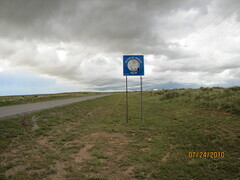 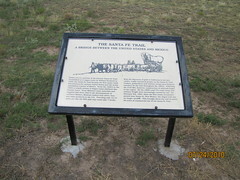 Santa Fe Trail crossed this highway here and was first traveled by William Beknell's expedition from Missouri in 1823. 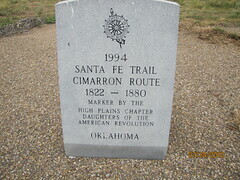 Kit Carson (December 24, 1809 - May 23, 1868), born Christopher Houston Carson, was an American frontiersman.